John signed on an S form from Invergowrie Boys Club in February 1972. 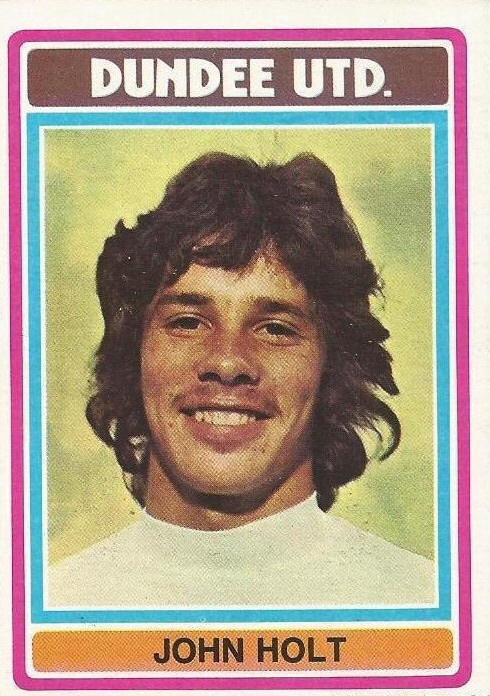 By April 1973 he was playing regularly for the reserves at Tannadice and later that year he signed his first professional contract at the club. 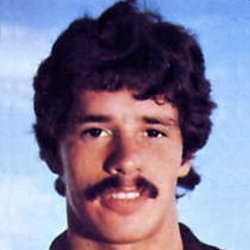 He was only 17 years old when he made his first team debut in January 1974 – a 1-0 defeat to Motherwell in the league. This led to John being included in the Scotland professional youth squad. 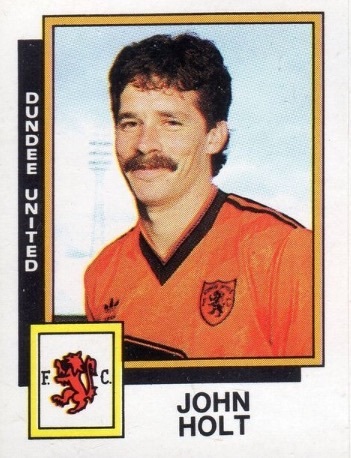 John’s versatility was key to United – his preferred position was full-back but due to fierce competition for the full-back berths at Tannadice he often played in midfield during his early years in a tangerine jersey. He very quickly established himself as a first team regular under the management of Jim McLean and he was very rarely out of the side from 1977 onwards. 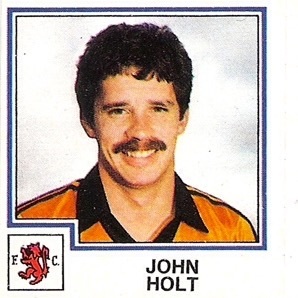 In December 1979, John Holt picked up his first winner’s medal as United defeated Aberdeen 3-0 in the League Cup Final replay at Dens Park – the first trophy in the club’s history. A second winner’s medal wasn’t long in coming as the Terrors retained the trophy the following year with a famous 3-0 win over city rivals Dundee with John starting for Jim McLean’s men once again. His third and final winner’s medal came in 1983 when Dundee United defied all the odds to be crowned Scottish Premier League champions after a dramatic final day showdown against Dundee at Dens Park. John played a crucial role in United’s title win – playing in the majority of the club’s league fixtures. Although he was never a prolific goal-scorer it was during the 1982/83 season that Holt scored his only ever hat-trick for United, coming in a 5-0 win at Rugby Park in February. After their league championship success, Dundee United embarked on their first ever European Cup campaign the following season. John featured in the earlier ties against Hamrun Spartans and Standard Liege as well as the quarter final clash with Rapid Vienna. He was an unused substitute in the first leg of the semi-final tie against AS Roma and was brought on as a substitute just after half time in Rome as United crashed out of the competition after a controversial 3-2 aggregate defeat. 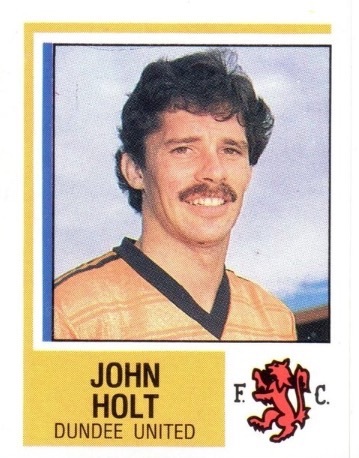 Having already picked up League Cup and Scottish Cup runners up medals in 1981, John would pick up another one of each in season 1984/85 as United lost the League Cup and Scottish Cup finals to Rangers and Celtic respectively. 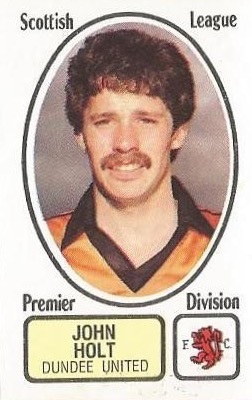 Season 1986/87 was John’s last full season at Tannadice and it was a special one for him and for the club. He missed United’s victories against RC Lens and Universitatea Craiova in the early stages of the UEFA Cup but started away to Hajduk Split in the third round. After a 2-0 aggregate win over the Yugoslavians, United were drawn against Barcelona in the quarter finals. He started in the first leg at Tannadice where the Spanish giants were defeated 1-0 thanks to an early goal from Kevin Gallacher but it was his man of the match performance at the Nou Camp that has gone down in Arab folklore. He went onto play in both legs of the semi-final against Borussia Monchengladbach and both legs of the final against IFK Gothenburg where United were unlucky to miss out on European glory – losing 2-1 on aggregate. He also received a Scottish Cup runners-up medal at the end of that season, losing 1-0 to St Mirren at Hampden in extra time. Early the following season John left the club after almost 14 years of loyal service – joining Dunfermline Athletic for a fee of £50,000. 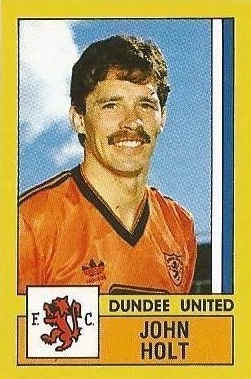 He later had spells with Dundee, Forfar Athletic, Deveronvale and Montrose before retiring from football in 1994. He returned to Tannadice in the mid-90s as a coach but left in 2003 after the appointment of Ian McCall as manager. He then took up a scouting role with Celtic before becoming a youth development coach at Dundee. In 2012 he took up an academy role with United, before joining former team mate Paul Hegarty at Montrose as assistant manager. 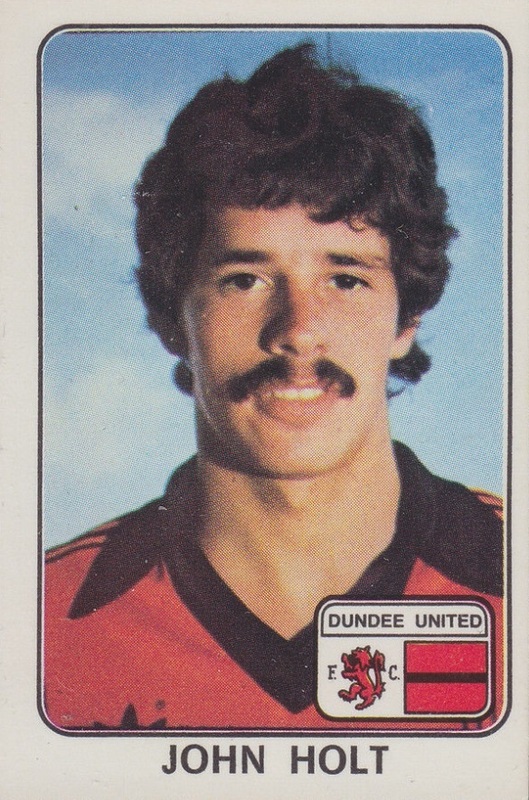 Still highly regarded by the fans at Tannadice, his contribution to the club’s successes during the late 70s and early 80s were recognised when he was inducted into the Dundee United Hall of Fame in 2011. Not an afternoon to savour as we slumped to our first home defeat of the season. 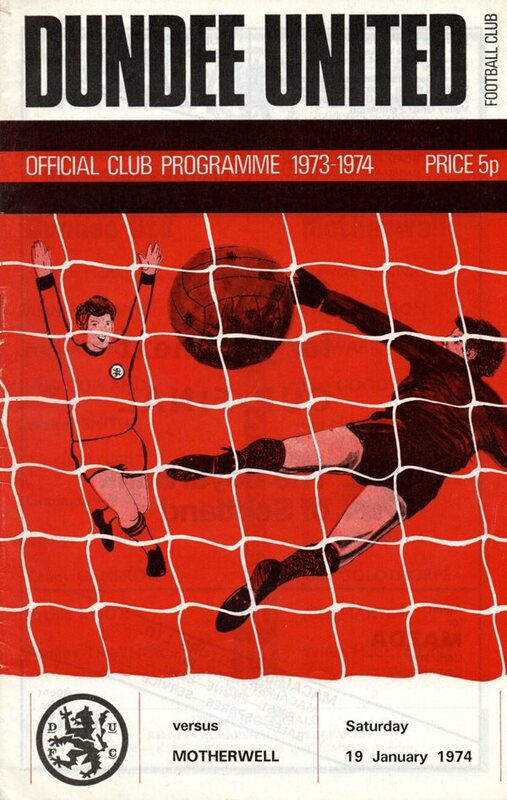 There was an early warning for us after only three minutes when George McCluskey prodded past from a good position and four minutes later Billy Thomson saved well from an Andy Watson shot from the edge of the box. We retaliated with a shot from Kevin Gallacher which Rough saved and a flick, again from Kevin Gallacher, which sailed tantalising wide of the far post. Hibs, however, continued to carry the game to us and in 31 minutes took the lead. Andy Watson cut in from the left and from the rectangle of the penalty box slammed the ball into the top right hand corner. The turning point of the match came in the 44th minute when lain Ferguson chipped the ball home, only to find Kevin Gallacher pulled up for off-side.